Company Marinetek Adriatic, both by production of equipment and through expert consulting, meets the needs for immaculate reconstruction of existing nautical ports and building new moorings, using modern technological solutions. Marinetek offers a rich choice of floating pontoons – from light pontoons made from wood, to heavy duty wave-breakers – as well as a vast selection of safety items for pontoons and marinas, following a ‘one stop shop’, i.e. offering the client everything from an expert advice and support do delivery, installation, upgrading and maintenance of various equipment, by ready-to-use principle and always having on mind common interests in developing the product and bringing the harbor to completion. As the world leader in production of reinforced concrete seamless floating pontoon elements, Marinetek – other than simple pontoons with aluminum or wooden frames, and plastic or concrete floating chambers – makes thirty-four different types of standard elements in steel-reinforced concrete. The company also makes junction sets for connecting pontoons, assembling bridges, as well as safety gear such as ladder for swimmers, safety gates, wooden or metal fences, buoys, service cranes etc. The key advantage of Marinetek floating pontoons are their quality and longevity, both due to the quality of materials. Recently Marinetek reconstructed almost all ACI marinas, and built several new ones in Trogir, Seget, Dubrovnik, Slano and Šibenik; in the same period pontoons and other construction element were delivered for completion of a marina in the northeast Sardinia Portisco bay, in one of the most prestigious parts of the Mediterranean, as well as for the Aegean marina at the Ios island. The company also completed the first phase of reconstruction of the most exclusive Mediterranean marina: the famed Port Hercules in Monte Carlo. 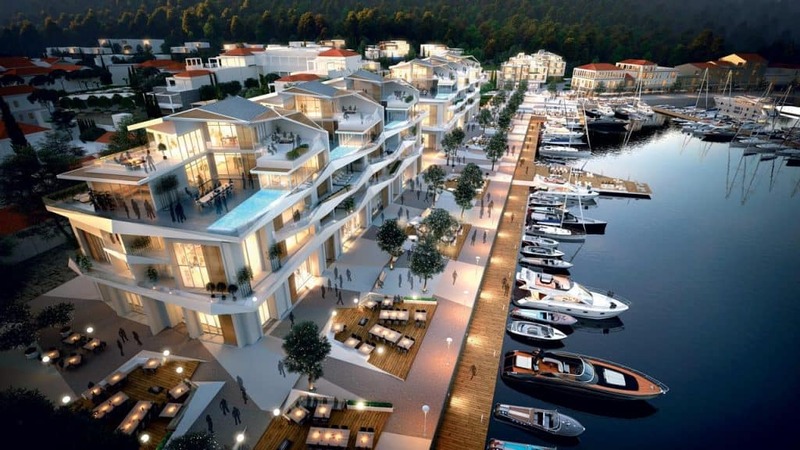 Pontoons were delivered and assembled in the new marinas in Turkey and Malta, and contract signed for building a world class marina at Limassol in Cyprus. Still, the most important new Marinetek project this season is building of the sea section of the Montenegro Portonovi hotel resort. 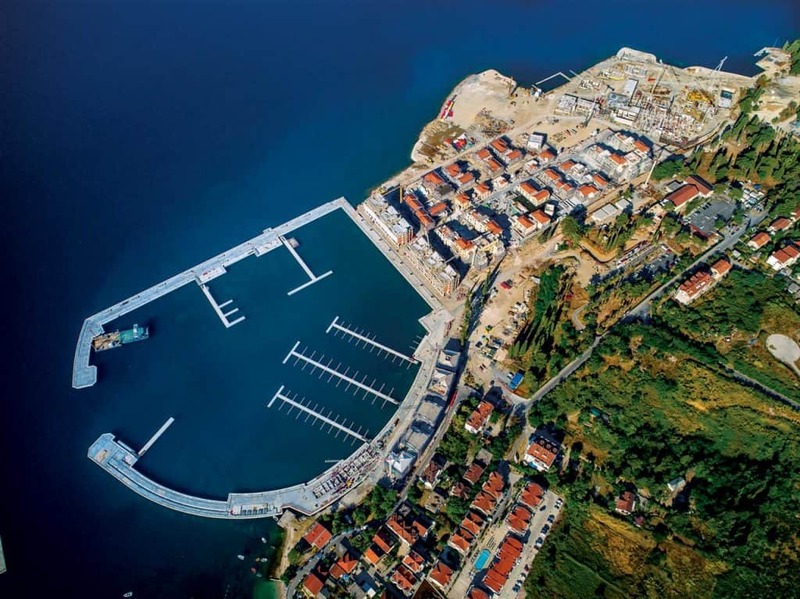 This complex project includes building, delivering and installing nine all-new pontoons – for the first time in Croatia, among them are super-yacht accommodating pontoons four or three meters wide, and a five meters wide wave-breaker element. This yachting port will have 238 moorings, as well as berths for yachts up to 120m LOA, along the outer peer. 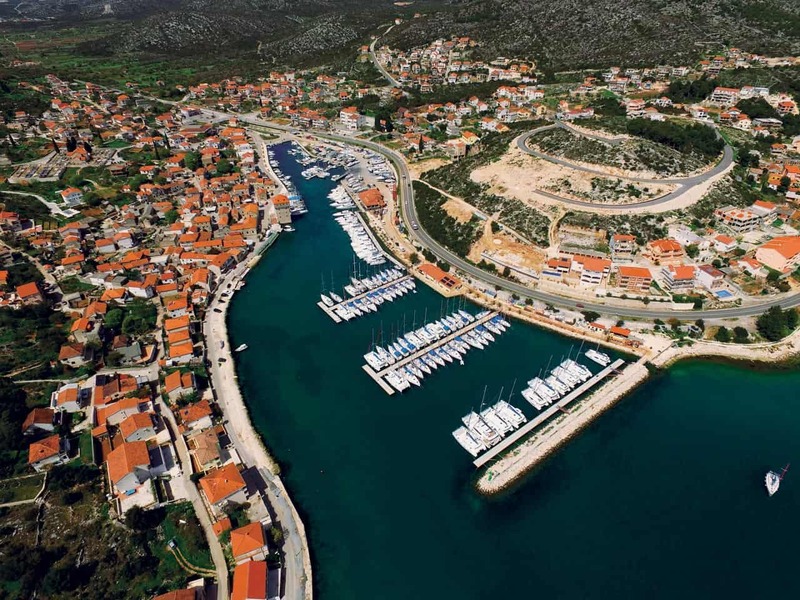 According to Marinetek CEO, Mr. Boris Mikšić, construction of the Portonovi Marina is one of the most important projects the company has worked on in the last decade. ‘We all are excited about this projects; partly because of its scope and importance, partly because of specific details commanded by the client. Also, we are proud to have completed all work within the contract-mandated time limits, proving once again our ability to tackle even the most challenging projects and confirmed our reputation of the leading maker of pontoon elements in the Mediterranean’. Among the many impressive projects, one stands out: the design, delivery and assemblage of floating piers, fittings and the anchoring system for the Rovinj ACI Marina. For that marina, Marinetek used their standard heavy-duty pontoons, the popular model M3300HD, this time with the walking board made from resilient, weather-resistant bangkirai wood panels. The investor opted for exotic wood looking to bring the port up to contemporary criteria and adapt it for use of high-end customers. 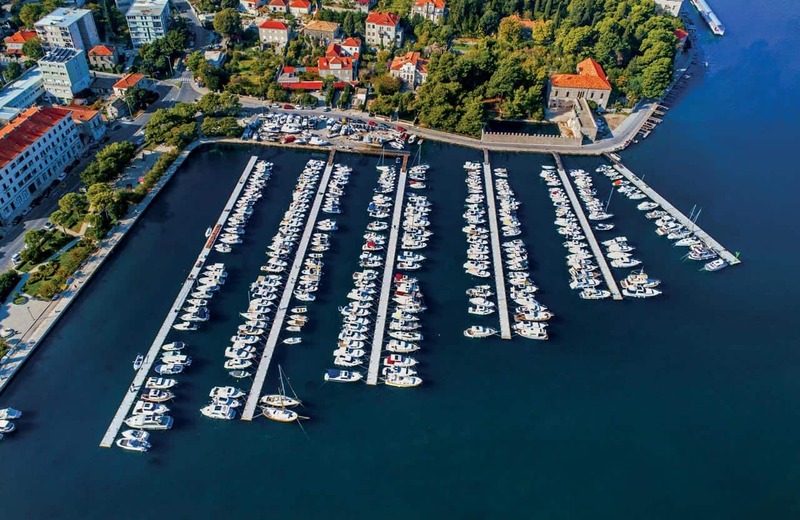 Earlier this year, the company started working on another new project: production of pontoons for the reconstruction of the A, B, C and V peers of the Agana marina in the village of Marina near Split. This year, the company finished reconstruction of marina Agana, the hundredth project for Marinetek! The marina now has 134 berths, six piers overall 470 meters long, and can accommodate yachts up to 25 meters in length. Almost at the same time Marinetek managed to build two new floating pontoons for the Trogir marina – that projects has pushed the marina into the top category (five anchors), meaning it now has capacity to provide all services related to maintenance and repair of yachts of all sizes and types. This year Marinetek Adriatic also made their first M5320CO pontoon, five meters wide and twenty meters long, first of the of the six ordered for the Port Hercules marina. This 1,20 meters tall pontoon weighing 55 tons will be towed to Monte Carlo. ‘After we have finished the pontoons for the marinas in Montenegro and Monaco, our next project will be for a client in Canada, who has ordered pontoons weighing 90 tons’, says Mr. Nenad Čuka, production manager at Marinetek, adding that in the several years to come, Marinetek will continue expansion to the markets of Italy, France and Spain, as many older marinas in these countries are in need of thorough reconstruction and upgrading their services and capacity.